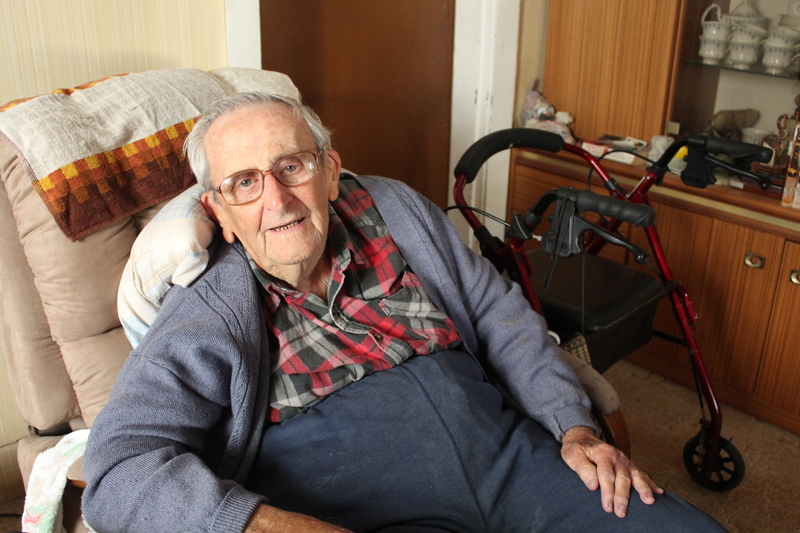 It’s been a few months since 91-year-old Gordon Wilson has been able to make it to his church. An active member of Holy Trinity, Kingsford for almost 60 years, he can no longer attend due to health complications. However, he is greatly encouraged in his faith through the regular visits of his Anglicare chaplain, Pip Russell. Miss Russell visits Mr Wilson every month as part of Anglicare Home Chaplaincy, a free service to all accessing the Anglicare At Home program. The program offers personal support for older people who are living at home, and is part of Anglicare’s vision to provide holistic care for every person on an Anglicare At Home package. “Old age often isolates Christians from their church, so a chaplain’s visit can be a vital support for their faith,” explains the Rev Francis Chalwell, head of Anglicare’s Aged Care Chaplaincy program. Together they share a cup of tea, catch up on life, read the Bible and pray together. Occasionally she will take him on a drive to view the ocean. For Mr Wilson – who grew up always on and around the water – the ocean is a place with special meaning. He always looks forward to Miss Russell’s visits. “She really picks me up and gets me talking,” he says with great appreciation. There are nine Anglicare chaplains covering the wider Sydney area, with some travelling as far south as Batemans Bay, as far north as the Hawkesbury, and some further west than Katoomba. Miss Russell cares for more than 230 clients in the eastern suburbs and inner west of Sydney. Mr Wilson feels that his faith is growing deeper every day, and he is thankful for the role that Miss Russell plays in helping his faith.